In most years we wouldn't be dwelling on the finer points of our election system. The winner would have been the winner and that would be that. But this year, with the extreme outrage around Trump's victory, a push for recounts, and plenty of appeals to members of the Electoral College to change their vote, it's a whole other story. Normally with an Electoral College win as certain as Trump's, his path to the White House is sealed. That's still likely the case, but let's take a look at the process anyway. In particular, what is a joint session of Congress? 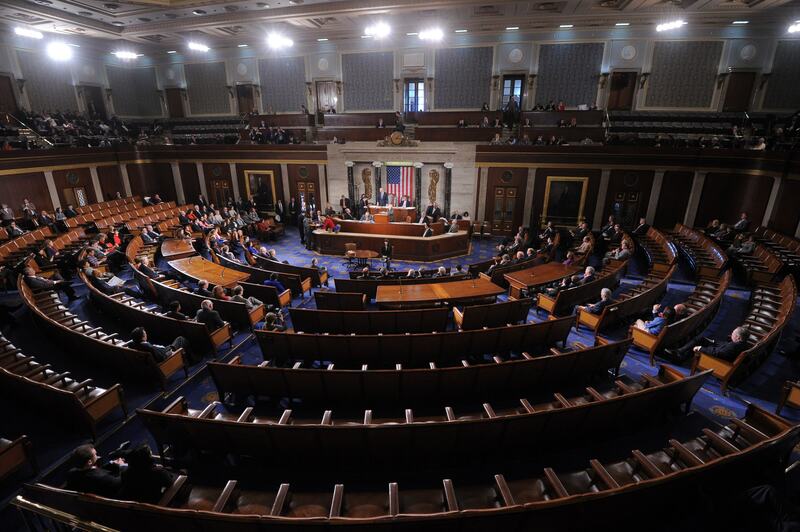 The joint session of Congress is when both the House and Senate are gathered together. As we're concerned with the election, it is in this setting that the Electoral College votes are read in early January, this year Jan. 6 (although Congress could pass a law to change the date technically). This year there could be some big or small surprises if some of the GOP electors who have pledged to cast their votes for Donald Trump change their mind and go for Hillary Clinton, some other Republican, or a third-party candidate like Gary Johnson. For those who have signed the petition asking electors to vote Clinton after all, and still believe there's a chance, this will be the moment of truth. If you look at this day in 2013, it was a mere formality as in most years. If you look at a Reuters report from the day, not much attention was paid. The first sentence reads, "The Congress formally confirmed on Friday, nearly two months after polls closed, that President Barack Obama and Vice President Joe Biden won the 2012 White House election." It shows correctly that the count was really a formality and was seen as having little to do with choosing the president. Technically, though, these are the only votes that matter. Interestingly, however, especially if you've been one of those emailing the electors, they vote far before the joint session. The date the votes are cast and sealed in each state is Dec. 19. So any emails you send these people over Christmas will not only be annoying but truly fruitless. Any and all pressure should be put on before and leading up to Dec 19. As for recounts, the state selection of electors is supposed to be finished by Dec. 13, so that's essentially the last day for the counting to happen in Wisconsin, Pennsylvania, or Michigan.